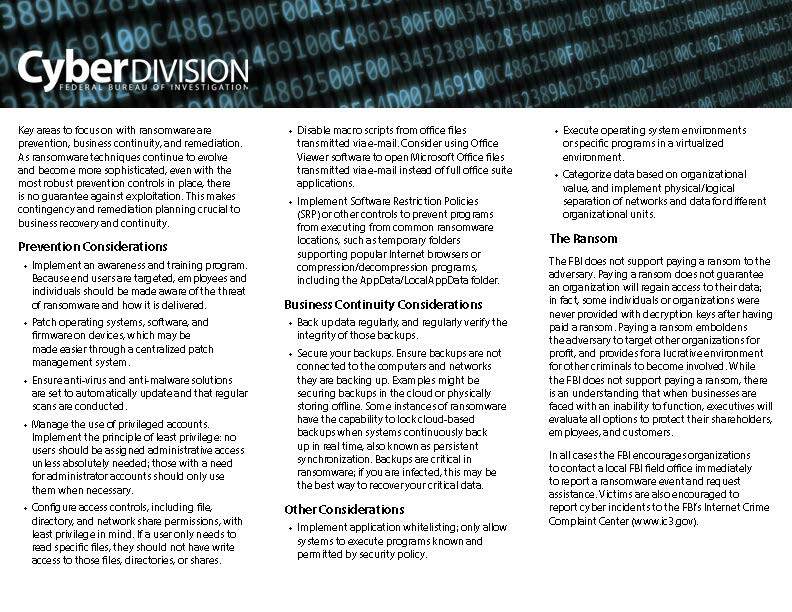 Instead the FBI recommends better ransomware prevention, such as employee training (pay special attention to spear phishing) and technical prevention tools, along with a good business continuity plan. The FBI is assisting the utility, which says none of its 96,000 customers has lost personal information in the attack. 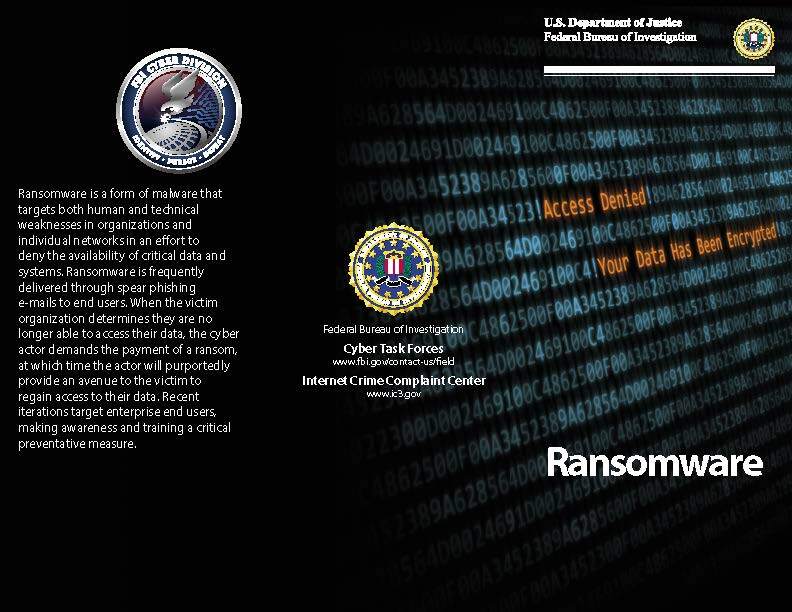 The specific type of ransomware and ransomware removal tool, if any, involved in the response has not been revealed by authorities.